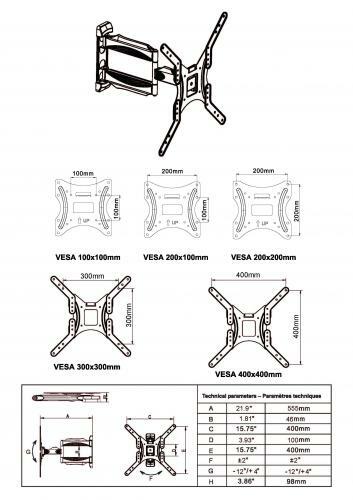 Fits 26"-47" screens up to 36.4 kg/80 lb. Arm extends to 555 mm/21.9" allowing mounting anywhere, even in or near corners. 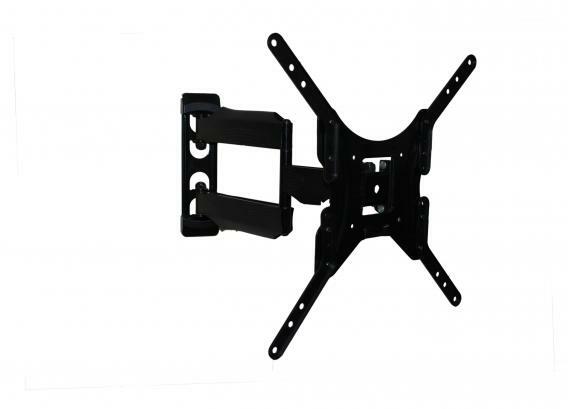 Flexible multi-angle position includes 180 degree swivel at wall bracket, centre pivot & screen. Screen level adjustment after installation + or - 2 degrees.